He is also an returning expert speaker in the field of Islam and his work includes talks in the UN as well as meetings and interviews with members of the European Parliament regarding Human Rights. He studied Theology at the Sorbonne, History of Law at the Pantheon in Paris and comparative science of Islam and Christianity at the University of Lyon. He holds two doctorates as a result of his studies. The spiritual school of “Substantial Evolution”, is founded by Dr. Azmayesh which uses the method of heart meditation in order for the students to step by step leave the desires of the Ego and to lead an altruistic life based on principles of tolerance, love and humility. Dr. Seyed Mostafa Azmayesh was born in Tehran (Iran) in 1952. On completion of his studies in Arabian Literature (Tehran 1974) and Law (Tehran 1975) he moved to France in 1976. In Paris he studied Theology and History of Law at the Sorbonne University, as well as Comparative Studies of Islam and Christianity at the University of Lyon for which he received two doctorate degrees. One of his professors was the philosopher and theologian Henri Corbin. After having completed his academic studies he continued his research in the areas of religion, philosophy and various scientific subjects. Dr. Azmayesh was admitted into the lineage of initiates of the Nematollahi-Gonabadi order in 1969, which is the most popular and oldest Sufi order in Iran. 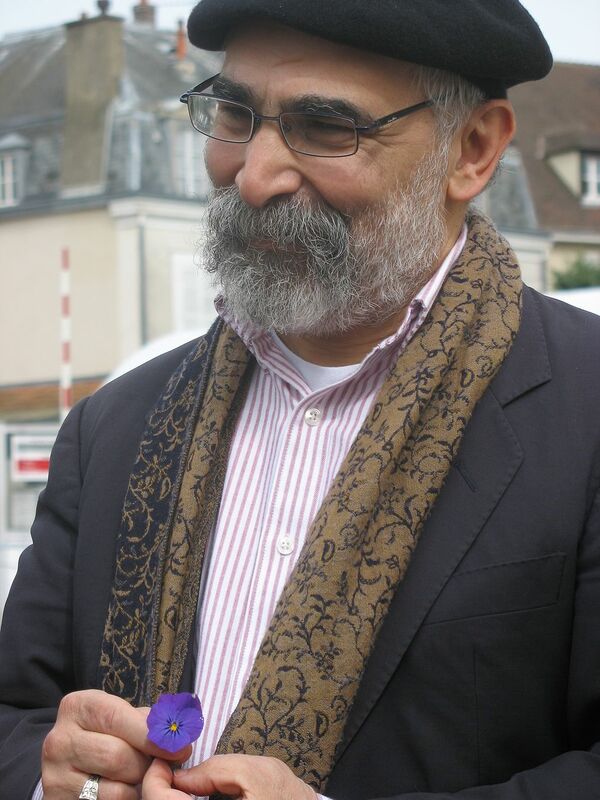 Dr. Azmayesh is the official representative of the Shah Ni’matullah Wali Gonabadi Order outside of Iran. He is known for his research in the field of Gnosticism, Islam and Christianity and for his advocacy for Human Rights. His activities focus on the spiritual development of the individual human being and supporting Human Rights, where his most notable efforts have been the push for reform within fundamentalist regimes, such as in Iran, towards the adherence of Human Rights values. With the help of his newly published book New Researches on the Quran he aims to accelerate the countering of Islamic extremism that currently tries to divide our Western society. Since the onset of the Iranian revolution in 1979 and the growth of extremist views of Islam he has worked to oppose those who propagate extremist ideas based on the false interpretation of Islam. His activities have included talks in the UN as well as an exclusive interview with Dr. Ahmed Shaheed, the United Nations Special Rapporteur for Human Rights in Iran, and meetings and interviews with members of the European Parliament, who are responsible for covering the Human Rights issues. In the face of the rise of Islamic extremism in the West he has spoken at a series of conferences in England, Germany and the European Parliament and written articles on how policies should be changed. Through scholarly research he has shown that Human Rights are not only consistent with Quranic principles, but according to the Quran a Muslim civilisation must be based on equality for all, regardless race, gender or religious beliefs and there is no place for violence, suicide or killing. Dr. Azmayesh has, for many years, spoken in opposition to the case of stoning punishments. In various analyses he showed that there is no relation between Islam and stoning, and claims that tyrants throughout history have always used stoning punishments for reasons of power and suppression. After a long process of challenging the Islamic clergies as from 2011 stoning has no longer been practiced in Iran as a consequence of Dr. Azmayesh efforts. In response to the uprising in 2009 following the presidential elections, he supported the expression of free speech and campaigned for the freedom of prominent political prisoners such as Nasrin Sotoudeh (an Iranian female human rights lawyer), Narges Mohammadi and religious and ethnic minorities such as Kurds, Baha’i and Sufis.